This week the combined Westie boards heard submissions from local residents and groups that wanted to make a submission to all of the boards. 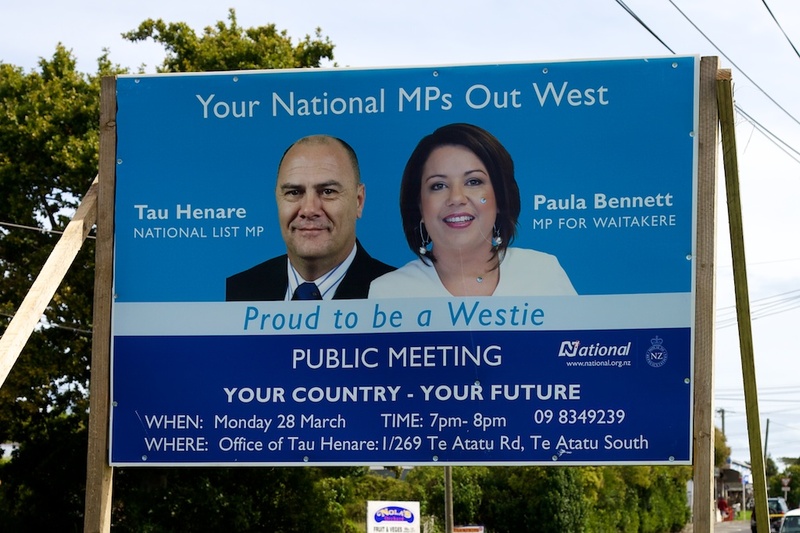 Amongst them was National List MP Tau Henare. Essentially he wanted rates reduced for local businesses. He has an argument. Waitakere Council had the highest business rates of the region. The reasons are historic, Waitakere did not have much industrial land, and when an assessment of business use of the local infrastructure was made it came out quite high. When I was on Council the figure was approximately 20%. Business activity used about a fifth of the infrastructure and it was thought appropriate that businesses should pay that share. In other parts of the city the figure was lower. But this was because they had so much more industrial land and the expense could be shared around. Now that we have the super city I am sure that the opportunity for change is immense and Tau is right to ask that we change things. There is however one problem with his advocacy, his Government has passed laws that will mean that it will not happen, at in least this financial year. Section 33 of the Local Government (Auckland Transitional Provisions) Act 2010 requires that the rates on each unchanged rating unit must be a uniform percentage variation from the total liability of that rating unit for rates for the 2010/2011 financial year. If a unit changes, then there is a formula to work out the amount of rates to be paid. So for the next 12 months all that happen is that rates are increased (or decreased) by a uniform percentage amount. Making localised variations is not possible. I asked Tau about this. I said that I agreed with him that this was a problem this year and asked him if he had thought about complaining to the parties who were really to blame for this situation, that is the Minister of Local Government and the Government because they were the persons responsible. By the law they had enacted they have prevented Auckland Council from doing so. Tau did not really answer the question. He kept talking about the need to reduce rates and how many jobs could be created by doing so. He also said in general terms that the Council had an obligation to set a rate that was fair. I then suggested that he was asking Council to do something that legally his Government had said that it cannot do. This time he answered, sort of. He mentioned section 46 of the Local Government Act and said the Council inherited the Rates Remissions policies of the former Councils. Unfortunately section 46 refers to circumstances where members of a local authority could be liable for loss, not rates remission. He may have been referring to section 46 of the Local Government (Auckland Transitional Provisions) Act 2010 that essentially includes existing Waitakere Rates remissions policies into the new budgetary documents. But as far as I can ascertain there is no policy that allows business rates to be reduced in the way he wants Council to do so. Vanessa Neeson accused me of asking a political question! Funny that. A former National MP’s wife elected to public office with a conservative agenda accuses moi of being political? And a National MP appears to lecture Auckland Council on what it should do in election year when he knows or should know that his Government’s laws mean it cannot and this is not political? Tau was asked by my friend Catherine Farmer who he thought he was representing. This question caused some indignation amongst others but I thought it was perfectly appropriate. My final question to Tau was that Auckland’s Local Government Review was complex and there had been many unintended consequences and did he think that the process was rushed. Perhaps unsurprisingly he said “no” although he did agree that it was all political. Ah, the formulaic “cut taxes to produce growth” meme from the right that, as we now know beyond a shadow of a doubt, doesn’t work.